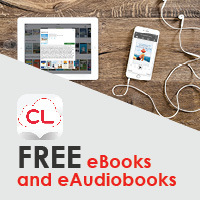 Families who are going on a trip can download eBooks to read for the whole family to eliminate the bulk of loading lots of books in the car or in luggage for a flight. Teachers and school librarians who want to share a book with a group that may be too small in size for an audience or the size of the group, can use the eBook format. Of course you would need either an Elmo or Promethean Board or something similar. Tutors and Resource Teachers would be able to have books at their fingertips on a device whether at the local coffee shop, library, or where ever you need to meet your students. Are all the print copies checked out!? Oh, no!!!! Check to see if it's available electronically! Leave that hold list in the dust! While we all love the print and holding that book (and toddlers like chewing them), there are so many books out there and so little room at a brick and mortar. We are lucky to have several resources for children and teen titles in electronic form! Here are some I've used in Storytime and also that I simply have enjoyed that we don't have in print at the library!